This post is brought to you in association with RALF from DP Software and Services. I’ve used RALF for the many years, and it’s my favourite RAJAR analysis tool. 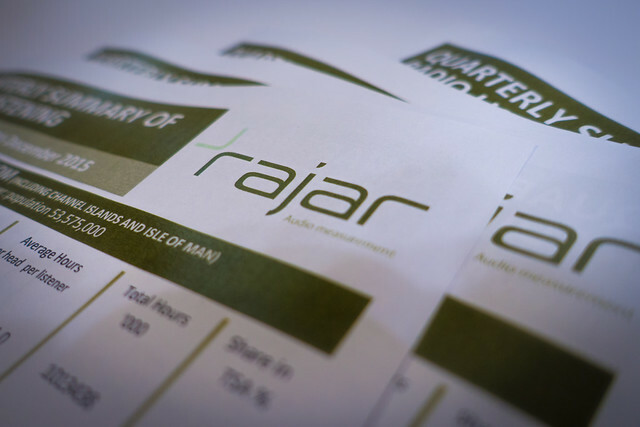 So I am delighted that I continue to be able to bring you this RAJAR analysis in association with RALF. For more details on the product, contact Deryck Pritchard via this link or phone 07545 425677. A wholesale change in some of the biggest (and smallest) breakfast shows in the land, with Zoe Ball taking the reigns at Radio 2, Lauren Laverne doing the same at 6 Music, and Chris Evans stepping into sort-of-old-shoes by “returning” to Virgin Radio. Bauer launched Greatest Hits Radio. Bauer then announced the launch of a brand new classical music station headlined by Simon Mayo. This will probably be packaged alongside previous purchase Jazz FM to provide a compelling offering to agencies. Deloitte highlighted radio has having a good 2019 despite all its external challenges. And yesterday, Bauer (them again) went out and bought two of the remaining small commercial radio groups in Celador Radio and Lincs FM Group, giving it a little extra market share to close the gap on commercial leader Global Radio. None of this impacts on radio listening this quarter, with none of the new shows really getting any proper numbers until the May RAJAR release, and more completely in August (Since for all these new breakfast shows. there is at least one week of Q1 19 when they weren’t on). But this is all indicative of a strong sector. There are likely to have been strong smart speaker sales over the Christmas period, with new form factors like Google’s Home Hub likely to have proved popular. Radio remains a strong offering on these devices, and some – not least the BBC – are investing in much more comprehensive voice offerings. So after all that positivity, it’s a little disappointing to report this quarter’s RAJARs are down fairly comprehensively across the board. All Radio reach is down 0.4% on the quarter and down 0.9% on the year to 48.4m. Fractional, but it means that we’re now at 88% of the population listening each week (from 89%). More concerning is listening, which regular readers will know I’ve been keeping a close eye on for a while now. All Radio listening is down 2.3% on the quarter and down 3.5% on the year to 1.002 billion hours a week. That all equates to around 20.7 hours per week of radio for each listener. That’s an all time low. That overall fall in listening inevitably gets reflected in individual station results. Radio 1 slips away from last quarter’s decent results, and is down 2.3% on the quarter and down 4.7% on the year to 9.375m listeners. In hours terms, the drop is starker, down 7.1% on the quarter and down 8.0% on the year to 56.9m hours. These numbers almost in themselves spell out the importance of BBC Sounds. Radio 1 Xtra did a little better, with reach up 1.9% on the quarter and down 0.8% on the year. Hours were 10.0% up on the quarter and down 12.4% on the year. Radio 2 marked the end of an era which saw Chris Evans depart breakfast, and Simon Mayo and Jo Whiley depart drivetime, the former leaving altogether like Evans. The station itself was bucked the overall trend being up 1.7% on the quarter, although down 3.9% on the year in reach terms, with 14.9m listeners. Listening hours were a similar story, being up 3.3% on the quarter but down 4.4% on the year to 181.7m. Radio 4 was down 1.5% on the quarter, and down 6.8% on the year to 10.5m listeners. Hours are more worrying, down 5.0% on the quarter and down 7.8% on the year, to 112.6m, the lowest listening figure since Q2 2006. Brexit fatigue? The growth of podcast listening? Rival stations? All things to be investigated and examined closely by whoever becomes the new controller of the station following the announcement in January that current controller Gwyneth Williams is leaving. Radio 5 Live has not prospered too well this quarter with reach down 1.3% on the quarter and down 8.9% on the year to 5.0m. Hours are also down, falling 6.5% on the quarter and 6.9% on the year to 32.7m. No records for 6 Music this quarter – no obvious ones anyway. Reach fell 16.1% on the quarter, although it remains up 0.3% on the year, with 1.5m listeners. Hours were also down on the quarter, down 3.0%, but up up 17.9% on the year. Again, these were the last figures for the station before a slight reshuffling of the decks. It’s fair to mention that the BBC World Service has had a good quarter in the UK – up 5.3% on the quarter and up 3.0% on the year to 1.6m reach. Hours are up 9.2% on the quarter and up 11.9% on the year to 8.2m. Perhaps the best performing commercial station this time around was LBC which achieved a record reach across its national network of 2.2m. For reach, it was up 5.6% on the quarter and up 9.3% on the year. In hours, it was up 5.8% on the quarter and up 6.8% on the year to 21.7m. This was the first quarter that saw Eddie Mair takeover their drivetime show, and his move away from Radio 4 was supported by a reasonably sized marketing campaign. 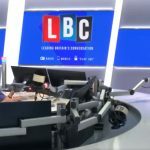 Comparisons need to be made carefully because LBC nationally reports using 6-month data, but the Q4 2018 data shows a 7.4% increase in reach for Mair’s 4-6pm weekday slot, to 715,000 (Over in his old 5-6pm Radio 4 stomping ground, Evan Davies saw a 2.0% drop in reach to 3.8m). Classic FM feels like it’s going to be more in the frame than Radio 3 from the arrival of Scala, but until we hear the new station, it’s probably too early to say. Classic FM is a very solid performer, and that’s the same this quarter, with reach up 2.4% on the quarter, down 6.4% on the year to 5.3m listeners. That’s where the station has consistently sat for a number of years now. Hours were up 2.7% on the quarter and down 8.6% on the year to 36.4m. A strong legacy brand, with an unrivalled commercial FM network means that this is not going anywhere fast. Global continues to invest in name talent – picking up Moira Stuart from the Radio 2 breakfast show most recently. Talksport’s numbers were pretty solid this quarter. Reach was flat on the quarter (literally the same 2.959m as last quarter) but up 0.6% on the year. Hours were up 0.3% on the quarter and up 5.4% on the year at 19.3m. You still feel reach should be north of 3m and hours above 20m, but the station continues to poach sports exclusives including overseas cricket commentaries. And separately, parent Wireless Group tries to bash 5 Live by commissioning a report that says that 5 Live doesn’t do enough hard news. Mandy Rice-Davies’ famous quote springs to mind. Over on Talksport 2, reach has grown 16.8% on the quarter (flat on the year) and hours are up 22.7% on the quarter and up 56.7% on the year – but those are all from modest bases. No Chris Evans figures yet, but Virgin Radio is worth looking at. It has seen its reach increase 8.0% on the quarter, down 7.5% on the year to 447,000. Whether the station needs to get 2m, 3m, 4m or more, there’s a way to go yet. Again, the serious marketing only began in January, so this is really just a baseline measure. Better news in terms of hours, which were up 25.2% on the quarter and up 17.6% on the year to a still modest 1.7m hours overall. Talk Radio still really doesn’t seem to have found its feet, although its numbers are up this quarter. Reach is up 15.7% on the quarter and up 26.9% on the year to 302,000. Hours are up 24.1% on the quarter and up 30.9% on the year to 1.3m. Magic was also a big commercial winner, across both the main station and their network of services. You may recall that Magic took the somewhat bold decision to go 100% Christmas songs from 30 November. Previously, only digital stations had changed their playlists quite this radically. And although this change will have only contributed a couple of weeks’ worth of data into the quarter, since the measurement period ended on the 16th December, you suspect that this wasn’t a terrible decision. Magic saw its reach grow 7.1% on the quarter and 7.4% on the year to 3.44m, while hours were up 1.7% on the quarter and up 9.7% on the year to 18.45m. Across the whole Magic Network including Mellow Magic and Magic Chilled, they had a record reach figure of 4.22m, up 4.0% on the quarter and up 8.3% on the year. Hours were up 3.9% on the quarter and up 15.5% on the year. I wonder if we’ll see a Global station – Smooth perhaps – replicate this move next year? In yet another change, this was the final quarter in which Rickie, Melvyn and Charlie were on Kiss breakfast, before they up and move over to Charlie Sloth’s old slot on Radio 1. However figures for the station were disappointing, with reach down 8.6% on the quarter and down 12.4% on the year to 4.1m. Hours were down 9.9% on the quarter and down 18.2% on the year to 18.4m. Over at Absolute Radio there were decreases on the main station with reach down 1.6% on the quarter and down 8.5% on the year to 2.4m. Hours were down 11.0% on the quarter and down 8.3% on the year to 17.0m. Across the Absolute Radio Network things were a little better with reach down 2.1% on the quarter but up 1.1% on the year to 4.8m, while hours were down 2.1% on the quarter and down 0.5% on the year to 33.8m. Interestingly, Absolute 90s had its best ever reach figures with 969,000 (up 6.1% on the quarter and up 30.1% on the year). Yet Bauer has just removed Absolute 90s from D1 switching it with Kisstory which moves across from D2. Kisstory is twice the size, so the switch makes sense, although the time is definitely right for a 90s station. Capital Network has seen small falls with reach down 2.3% on both the quarter and the year to 7.3m. Hours are down 1.1% on the quarter but down 10.6% on the year to 36.2m. Capital XTRA performs pretty well despite being 2.6% down in reach on the quarter. It’s still up 14.9% on the year with 1.8m listeners. Meanwhile, hours are strong with a 9.7% increase on the quarter and a 13.4% increase on the year to 7.3m. Between them the Capital Brand has done OK nationally – down 1.9% on the quarter and down 0.5% on the year to finish with a reach of 8.3m. Hours are up 0.6% on the quarter but down 7.3% on the year to 43.4m. Heart Network is modestly up with reach gains of 0.7% on the quarter and 4.1% on the year to 8.5m. Hours are basically flat, up 1.3% on the quarter and down 0.5% on the year to 57.6m. Add its digital sister stations into the mix, and the overall Heart Brand is up 0.8% on the quarter and up 6.2% on the year with a reach of 9.7m, while hours are up 1.1% on the quarter and up 0.7% on the year to 65.7m. A very solid powerhouse in UK radio then. The Smooth Radio Network is up 2.0% on the quarter and up 4.3% on the year to a very good 5.1m, while hours are up 5.7% on the quarter and 12.9% on the year to 37.7m. Across the overall Smooth Brand there are modest gains too with overall reach and hours figures of 5.8m and 43.0m. You never entirely feel that Smooth is Global’s most loved brand, and yet it’s an incredibly strong performer. Finally, Radio X Network is down 4.0% on the quarter, but up 4.3% on the year with a reach of 1.6m. Hours are up 0.5% on the quarter and up 22.9% on the year to 14.4m. In London. Radio 4 remains the biggest station in the city, just ahead of Radio 2. Radio 4’s reach in London was up 2.6% on the quarter but down 10.4% on the year to 2.48m. Hours were down 2.5% on the quarter and down 5.6% on the year to 27.8m. Radio 2’s reach is at 2.26m, down 3.2% on the quarter and down 8.2% on the year, while hours are at 24.8m, down 4.7% on the quarter and down 5.2% on the year. Capital London has taken a bit of a tumble this quarter, with reach down 10.0% on the quarter and down 11.5% on the year to 1.87m. That still makes it the biggest commercial station in London in terms of reach. Hours were down 4.0% on the quarter and down 22.6% on the year to 7.6m. By contrast, Heart London’s reach is up 7.3% on the quarter and down 2.3% on the year to 1.52m. Hours are up 20.9% on the quarter and up 4.2% on the year to 9.4m. This quarter saw Kiss take a bit of a hit in London, reach down 16.7% on the quarter and down 19.4% on the year to 1.63m. Hours were similarly down 15.7% on the quarter and 30.4% on the year to 7.4m. That’s part of a slightly worrying trend for the station in London which has seen its hours fall each quarter for the last four consecutive quarters. Absolute Radio didn’t have a good set of London numbers, down 15.5% on the quarter and down 20.9% on the year to 726,000. Hours are down 24.2% on the quarter and down 2.2% on the year to 4.9m. Magic in London made some gains in reach, up 2.9% on the quarter and up 2.7% on the year to 1.6m, while hours fell 12.0% on the quarter and down 5.7% on the year to 8.1m. Radio X had a decent quarter in London, up 34.1% on the quarter (down 5.7% on the year) to a reach of 480,000. Hours were up 35.2% on the quarter and up 8.4% on the year to 3.5m. Mixed results for Smooth London, down 12.8% on the quarter but up 8.9% on the year to 818,000 reach. Hours were up 18.4% on the quarter and up 44.3% on the year to 6.0m hours. A quick plug for a piece I just published on podcasts and exclusivity. Source: RAJAR/Ipsos MORI/RSMB, period ending 16 December 2018, Adults 15+.